Are you looking for an alternative to LeadPages or OptinMonster? When I first heard about LeadPages, my internet marketing friends were raving about the beautiful, conversion-optimized landing pages. LeadPages took the headache out of creating landing pages and opt-in forms with their customizable templates. To top it off, their templates are tested and proven to convert. 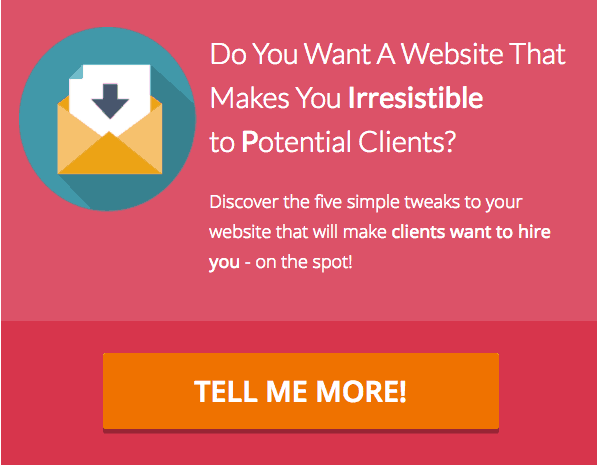 LeadPages then became known for the two-step opt-in form. That is, you don't ask for the web visitor's contact information upfront. Instead, you make them click on something first, and then you display the form to submit their name and email address. These forms convert better because the first click is a micro-commitment that compels the visitor to complete the subscription process. 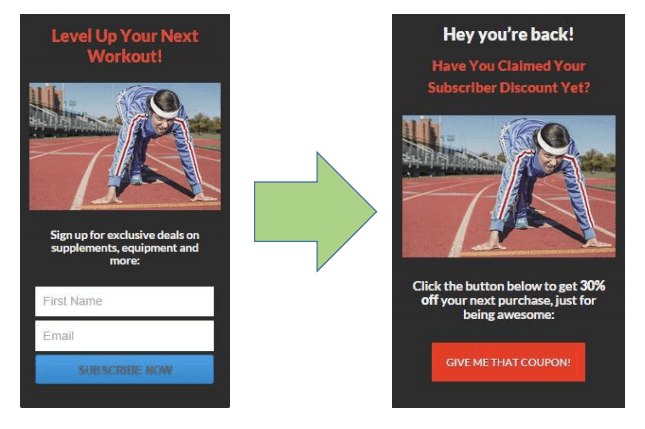 Today, every digital marketer uses two-step opt-in forms. Naturally, when I decided to revive my digital marketing efforts, I wanted two-step opt-in forms, too. And beautiful landing pages and forms. And other cool features, like being able to control where the forms show up and when. I considered LeadPages, but the investment was too much for me. Since I have a full-time job and a family to take care of, online marketing is something I do on the side. And it always takes a back seat when things get intense at work, or when family issues come up. In short, I couldn't justify the cost of LeadPages. I've been using OptinMonster since joining Mirasee in 2015, so you could say I'm already an intermediate-level user. I know it also has opt-in form templates and controls over where to display your forms. But it doesn't have two-step forms, except for the MonsterLink feature, where forms are triggered by clicking on a text link or an image. Not exactly the same thing. What's more, I've been really frustrated with OptinMonster, because the templates aren't as customizable as I'd like them to be. For example, I can't move where the image is. If I don't want a sub-header, I can delete the default text, but the space for the sub-header remains. And with some templates, when I change the text of bullet points, the bullets get all messed up. and is affordable to a part-time digital marketer like me. After asking my smart online marketing friends and looking at vendor websites and video tutorials, I decided to go with Thrive Leads. And I believe I made the right decision. Here's why (click on the images to enlarge them). And for each type of form, Thrive Leads provides multiple templates that look slick and professional. 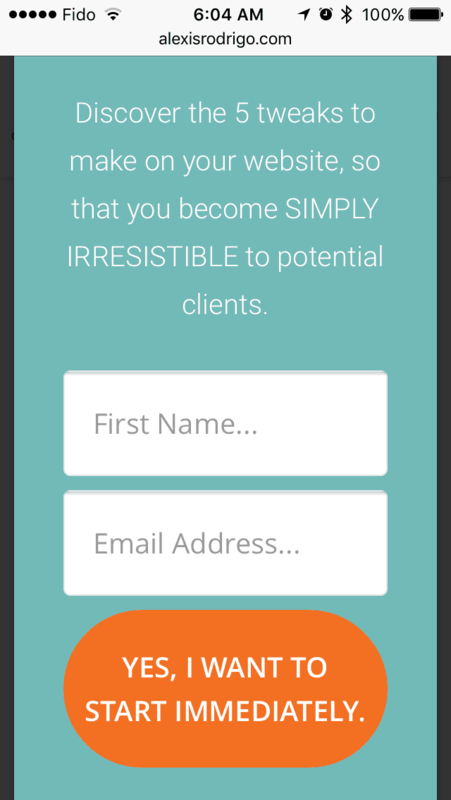 Ok, I'm not sure if "customizability" is a word, but that's what Thrive Leads forms have. I can change colors, fonts, and spacing. I can replace the image or get rid of it altogether. I can add or remove text boxes. I can even add social share buttons on my forms (WHAT?! I know, right? More on that later). I was looking for an opt-in builder that I could buy a la carte, without paying a monthly fee. Thrive Leads provides that. But eventually, I decided to get a Thrive Themes membership, which does have a monthly subscription fee of either $19/month (paid annually) or $30/month (paid quarterly). This gives me access to ALL Thrive products, including 10 themes and WordPress plugins for content building, collecting and displaying testimonials, creating quizzes, and more for all the websites I own. Clearly, a Thrive Themes membership is a better deal than either LeadPages or OptinMonster. I wanted to be able to display different opt-in forms for different blog post categories. I can do that with Thrive Leads. But I can also have different forms for different pages and even for specific posts. And Thrive Leads goes even further. You can save your settings into display templates, so you don't have to keep repeating which pages and posts to include or exclude, every time you create a new form. This is a big help, especially when you have plenty of "transactional" pages, like thank-you pages for each of your lead magnets. Naturally, you wouldn't want your popup forms, for example, to show up on those thank you pages, as well as on sales pages and opt-in pages. At this point, I've already checked off all my requirements by going with Thrive Leads. But the more I use the plugin, the more convinced I am that I really made the right choice. Looking for an alternative to LeadPages and OptinMonster? If you offer content upgrades on your blog posts, then you'll use Thrive Boxes to create opt-in forms that display whenever your reader clicks on a text link or image. This is comparable to LeadPages' LeadBoxes and OptinMonster's MonsterLink. To show you what I mean, CLICK HERE. 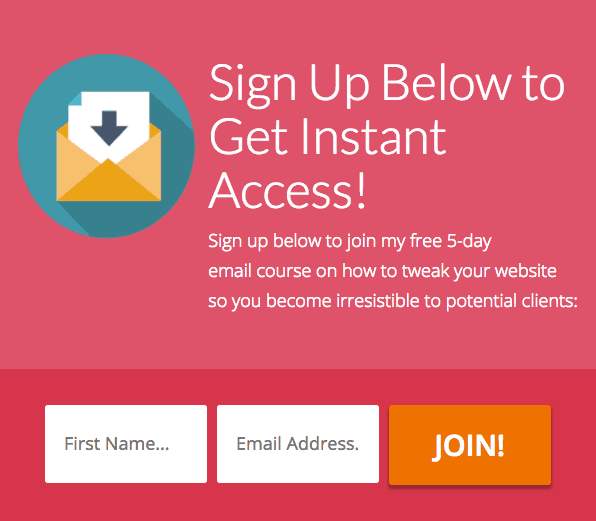 I've read another blogger refer to this feature of OptinMonster as being a two-step opt-in. In a way, it is, because the reader has to click on either a link or an image for the form to pop up. But, as you've seen in my example above under #2, OptinMonster's MonsterLink is not a true two-step form. Go to the Thrive Themes information page. This is a feature I didn't know I wanted until I learned about it. Here's how it works: Thrive Leads integrates with your email service provider (such as Mailchimp, AWeber Email Marketing, etc.) and email platforms (like Amazon SES, Mandrill, and Postmark) to automatically send new subscribers the download link to the ebook or other digital material they signed up for. Normally, you would have to create a new autoresponder email and download page for every lead magnet you have. This becomes very tedious when you have many lead magnets, especially if you offer content upgrades in your posts. Thrive Leads' Asset Delivery feature simplifies this process. 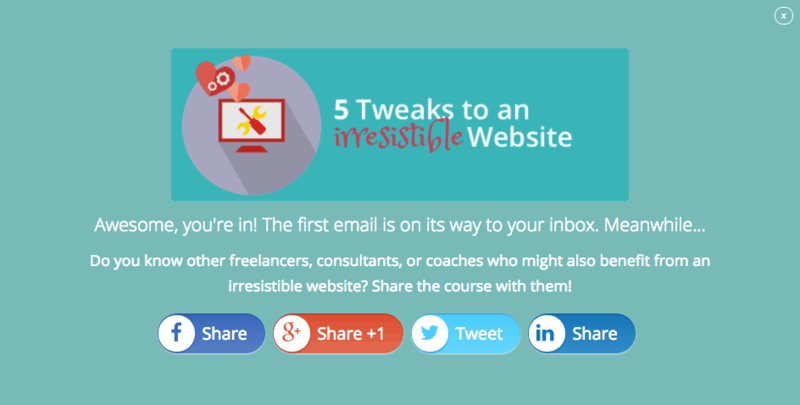 You create a template for your fulfillment email using short codes. And then when you create a form for a new lead magnet, you only have to specify the link to the PDF (or even a download page), and Thrive Leads will take care of sending the download email to your new subscriber. This is one of my favorite features of Thrive Leads! You can also use form states to create a "thank you" state. That is a version of the form that a person sees after hitting the subscribe button. You can put a link to download your lead offer in this state, although I prefer to send that by email. That way, my subscribers get used to opening my emails and clicking on the links in them. I prefer using this thank you state instead of sending people to a thank you page after they subscribe. I think the experience is much smoother, since the reader stays on the same page/post where they subscribed. And if the popup form had interrupted them while reading the page, they can continue reading after filling out the form. SmartLinks work with form states so that your website can "recognize" who has subscribed and who hasn't. Thrive Leads generates a SmartLink to any page you specify and that's the link you use when you email your subscribers. When they click on the link in your email, your website displays the "already subscribed" state to them. This is another feature that gives your subscribers a good experience. 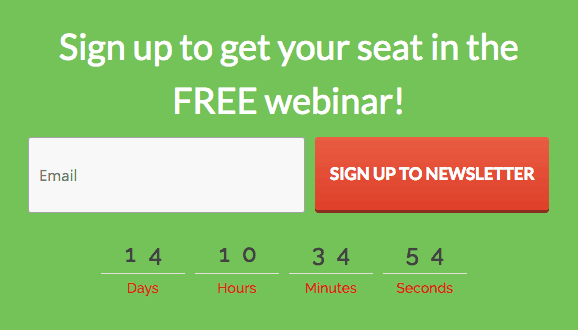 It lets them sign up for things like webinars or even another lead offer with just one click. Think about it: They're already on your email list. Why would you make them fill out a sign-up form again? I have a confession to make: I sometimes check my site on my iPhone just to see how good it looks! I've noticed that other sites with popups behave terribly on smartphones. The forms are too big for the screen, can't be closed, or look simply messed up. It's no big deal, but it does set your opt-in form apart from others. As you've seen, Thrive Leads is all about converting your website visitors into email subscribers. But for me, the benefits of using Thrive Leads go beyond that. It gives my website visitors and subscribers a good experience, so that they feel respected and valued. They see offers that are relevant to them. And they don't have to sign up over and over again for my stuff. These are all things we strive to do on the Mirasee website as well. As some of you may know, Mirasee is a multi-million-dollar company made up of about 20 employees, including a small IT team. And we paid another company a lot of money to set up the Mirasee site so that it does what I can accomplish with Thrive themes and plugins. That's right. I'm able to do give my audience a customized experience all by myself on this little website, thanks to Thrive Themes products. 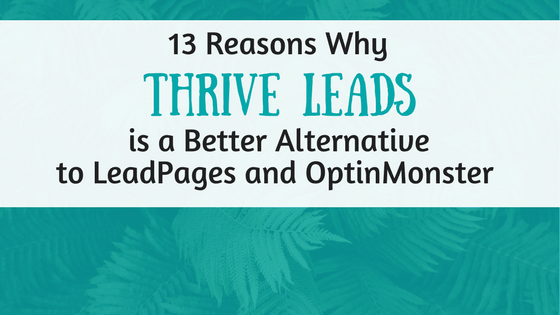 This is why I believe Thrive Leads is the better alternative to LeadPages and OptinMonster. Why am I on a Thrive Themes membership now when I wanted to pay a one-time fee in the beginning? A friend of mine made a good point about this. She had been using a different opt-in form creator that she paid for with a one-time fee. It's quite a popular app, but the developers decided to stop supporting it. In exasperation, she said, "I want to pay a monthly subscription if it means the developers will keep supporting the software." She made me realize the value in sustaining the developers so they can keep sustaining us, the users. And that's why I happily signed up for a subscription. By making Thrive the foundation and backbone of my website, I know that all the tools work together well. And I'm able to make the most of the features, because they're inter-connected. What about you? Which features of Thrive Leads are most attractive to you? What are you using now for your opt-in forms? Affiliate Disclaimer: I am an affiliate of Thrive Themes. That means I'll earn a commission if you purchase Thrive products through any of my links on this website. While I only ever recommend products/services I myself use and believe in, you should always do your due diligence before purchasing any product.